If you answered “Yes” to the last one then this is the right blog to read to fast track your process to your own totally epic vows. Get two sets of pen and paper and head to your favourite romantic spot in the park, in your garden or a table for two in your favourite café. Affirm your love, praise your partner, offer promises and close with a final vow. But in reality its not about the formula you use, or the order that you place them in, what’s important is that you clearly express your affection, intention and commitment to the person you’re standing there with. Your vows are a way that you can give yourself to them and a way that they can receive you. The vows are the shelter where your covenant or oath is undertaken. 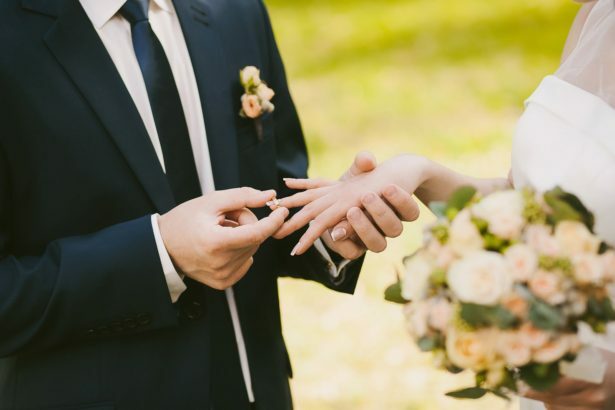 It’s the place you’ll find refuge when things are tough, the place to celebrate when things are going well and it’s under these vows you will be willing to stand for a lifetime of yes’s. This is our recommendation keep it as easy as 1,2,3. Each write these out on you pieces of paper – then compare and refine. It’s an amazing exercise and quite romantic! Tip 1: Write it down and then work out what to keep and what to leave out. If it’s in your mind or heart put it to paper and then formulate it all later. Tip 2: Write it as you’d say it. Be yourself, use your own voice or tone. That’s the whole point of doing your own vows. Expressing yourself and your commitment. It’s not a test and there is no pass or fail; no right or wrong. It’s your promises to your partner said your way. Tip 3: Be succinct. Don’t waffle on lyrically. You’ll be nervous and excited, every one’s watching so keep it clear, succinct but meaningful to the two of you. Tip 4: Now Begin with the 1,2,3. Declaration: This is the part where you tell your husband or wife to be exactly how deeply you love them, and why. Dedication: Come up with one or two, or many, promises. They’re called vows for reason, so the promises are the most important part. What are you promising to do or stand on through the good and the bad times.